‘Ah, English wine, it tastes of rain,’ was a frequently-heard jibe up to a few years ago. Not any more. 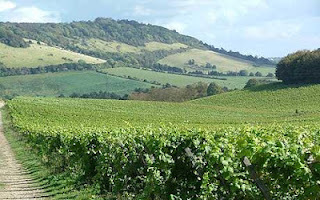 Now it is commonplace for English sparkling wines to win serious international prizes. The Ridge View Grosvenor Blanc de Blancs for example, won the top gong at the Decanter World Wine Awards two years ago, seeing off the likes of Taittinger, Charles Heidsieck, and Thienot. English still wines are another story. Southern England, with its chalk and limestone soils and warm maritime climate, is perfect for developing the racy, nervy acids and keen fruit flavours that are so prized in fine dry sparkling wine, but up to now we’ve struggled to coax enough flavour to make anything but rather flabby, thin white wines – tasting, indeed, of rain. How things have changed. 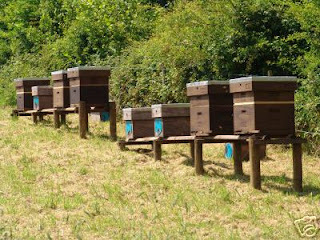 At the last big English wine tasting, on a beautiful spring day in London last year, the hall was buzzing like a row of Kentish beehives. As I went round the tables I became convinced that English still wines are now more than a curiosity. Tthe finest English whites are delicious, refreshing, delicately floral, with scents redolent of the hedgerows: cow-parsley, forget-me-not, sweet hawthorn, cowslip, thistle, elder and dog rose. Many producers have found that sought-after combination of low alcohol with taste. Most of the wines clock in at less than 12% alcohol yet still have body, fruit, acidity, and length. The best grapes for still whites are Bacchus and Ortega. Both are aromatic and floral – Ortega is a distant relation of Gewurztraminer and has some of that variety’s viscosity and perfumed oomph, but in a very understated, English way. If I was planting a vineyard tomorrow, for still wines, I’d back these two. At this stage I can only recommend the white wines. Enthusiasts will tell you there are very fine rosés and reds around, but I haven’t seen one that I would serve my guests as enthusiastically as the whites. Rosés can be underwhelming and damp, while reds can be rather thin and metallic. Global warming aside, average temperatures and sunshine hours in England just aren’t enough to ripen red grapes. While English whites are more than a curiosity, I fear it will be decades before they represent more than a cottage industry. They’re never going to be able to compete on price, for a start. However accomplished the winemaking and however delicious the wine, there is always going to be a Sauvignon Blanc de Touraine several pounds cheaper. It’s like French rock ‘n’ roll: it can be charming, but it’s always going to be the poor cousin because someone, somewhere, is producing something louder and with less effort. That analogy might be worth exploring further: ‘louder’ being the key word. We tasted the wines below on the hottest day of the year so far, sitting in March sunshine in a garden in Kent. They went perfectly with the benign warmth of the sun, with the feeling of spring growth all around, the delicate nettle flavours, hints of damp earth and greenness seemed quite in harmony. I can’t help feeling that riper, more fruit-forward wines might have overwhelmed. So there’s a time and a place for English wines. Don’t baulk at the price: over thirteen quid for a still English wine that isn’t quite as fresh or quite as fruity or floral as its Kiwii counterpart at £6.49 is pushing it a bit. But £9 for a wine that is so freighted with English terroir you could close your eyes and be in a country garden on the South Downs? I bet you spend more than that on orange juice every week. Incredibly – almost off-puttingly – light in colour, an attractive nose of grapefruit and summer fruits, and a bit of spice. The palate has more summer fruits, elderflower and a good mouthfilling weight and nice fresh acidity that belies the colour. From the vineyards of Kent, surrounded by pear and apple orchards, this has a sweet dense gooseberry nose and good weight, with perfumed crunchy apple flavours. Ortega is related to Gewurztraminer, and this has something of the grape’s florality and unction. Very pale colour, but a good healthy nose with hint of pear drops. The acidity is lovely on this wine, fresh and sweet, with notes of melon and pineapple and some nettley flavours. Light and refreshing – a wine for late morning in summer. One of the best Bacchus around, from a multi-award-winning English vineyard. Flavours of gooseberry, crisp apple, and some elderflower, set off by clean, nervy acidity a crisp, food-friendly finish. Great with seafood. Lovely floral, nettley character with aromatic spice, great acid balance and good length. Delicious, very light but with massive charm and character. Another one for a summer morning. Roberson, the West London wine merchant, runs some of the best tastings in London under the auspices of the talented Mark Andrew. A testament to the tastings’ popularity is the kind of people Andrew attracts. 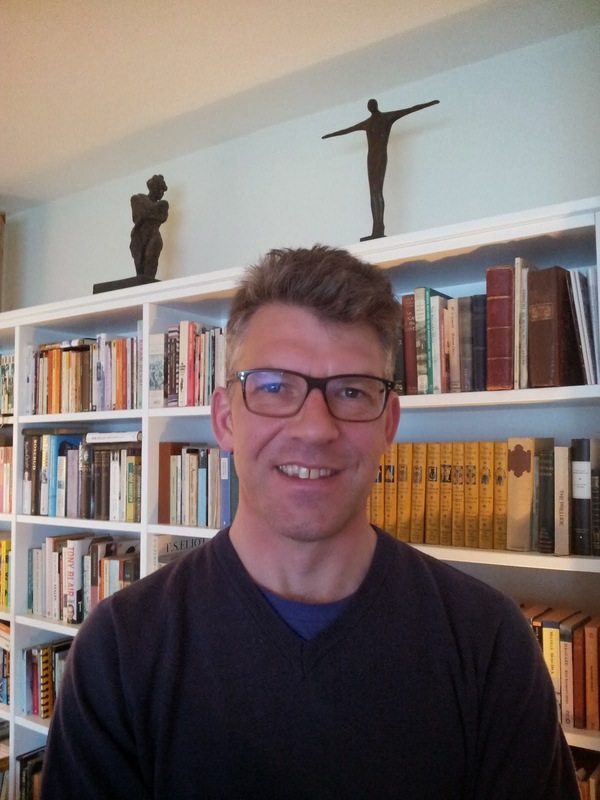 Neal Martin is always there, Jancis Robinson often, Michael Broadbent, Steven Spurrier, Julia Harding… all make the longish trek down Kensington High Street for the informal meetings in the room under the well-stocked shop. They’re idiosyncratic as well – there’s hardly any attempt to sell the wine (indeed, a note at the bottom of the tasting notes usually says ‘Price is indicative only as we have no stock’). 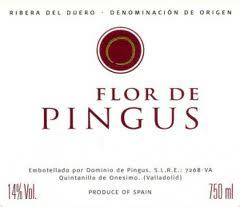 Last night they were showing Ribera del Duero’s Pingus, the most famous winery in Spain, and the most expensive. I was disappointed at first that the owner Peter Sisseck wasn’t there (I’d seen him earlier this week at a Taransaud seminar at Vintners Hall) but Andrew is a fluent and sharply informed and the wines (to me at least) need a lot of discussion which wouldn’t have been nearly so frank if Sisseck had been there. 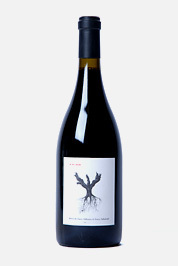 Pingus is world-renowned as one of the most celebrated micro-cuvees of Spain, lauded by Robert Parker as ‘one of the greatest and most exciting young red wines’ he had ever tasted. Stories of the tiny yields (harvests never top 12 ha/hl), hand de-stemming, 200% new oak etc are legion, as is the legendary account of the shipwreck off the Azores in which the entire US consignment of the 95 vintage was lost, sending the price into the furthest galaxies. Prices now reach Petrus-like levels: the 2004 is over £1000 a bottle. Oak has been gradually reduced – in 2011 the wine will be aged in 100% old barrels for the first time. Sisseck told me he now believes too much use of oak is lazy winemaking – it should all be done in the vineyard. Last night we saw Flor de Pingus (not a second wine) from 35-year-old vines as opposed to the 75-80 year-olds of the Pingus vineyards, and Psi, the result of a project by which Sisseck works with smaller growers to make ‘a low-intervention wine’ as Roberson’s notes have it. We also had two vintages of Hacienda Monasterio, the estate bought by a consortium in 1991 and revived by Sisseck, before he started Pingus. It sits in the ‘Golden Mile’ between the villages of Pesquera and Valbuena de Duero, a stretch that includes a roll call of Ribera vineyard aristocracy, with parcels going into Vega Sicilia, Abadia Retuerta, Alion, Pesquera and of course Pingus. Sisseck consults. The first thing to say is that these are very good wines, as my notes should make clear. Only one of them (the egregious Amelia) I wouldn’t be delighted to drink and serve. The second thing to say is that they are very expensive wines – and there’s the rub. 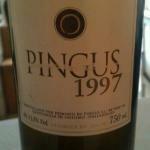 I have to say that if I had the choice between a £500 bottle of Pingus 1997 and a dozen venerable Riojas at half the price, the Pingus might come second. The 1997 is a lovely wine but it’s showing its age. The fruit is beginning to look tired, the tannins just on the turn towards dryness. By contrast, I had a 1959 Castillo Ygay some months ago, a wine which sells for just over £200 a bottle, which was ethereal, memorable, developing tropical fruit flavours, quince and jelly, with tannins gently ageing but without a hint of dryness – I can’t see the Pingus getting to that stage. Likewise the £30 Psi. A competent wine but there are many Riojas or Tuscans or Cru Bourgeois that will offer more complexity, fruit and style for less than that. Icons are icons and cults are cults, of course, and you’re paying for the name and the pedigree, the age of the vines, and (dare I say it) the Parker encomium. Which brings me to Amelia. This is a nano-cuvee of 25 cases, from a parcel of 100-year-old vines sold exclusively to America at about £250 the bottle. It tastes like a more over-the-top Cabernet from Santa Barbara, all creamy vanilla oak and overwhelming tannins. I’ll buy a case of it for anyone who could place it in Spain, or Europe, in a blind tasting. All power to Mark Andrew, who bought the bottles we tasted back from the States in a suitcase. What a fascinating evening it was. The verdict? Some superb wines but at the price, and for the cultish reputation, strangely underwhelming. Only the fact that I’ve mentioned St Estephe in the foregoing paragraph would give the uninitiated reader a clue that we’re in Bordeaux and not, say, Napa. Just look at the bottle Fée Aux Roses comes in: broad-shouldered, heavy, with a punch that swallows your fist entire. Fee Aux Roses hasn’t appeared on the market yet (Gardinier, I sense, would be far happier to forget it altogether – when I asked for more details he emailed, ‘Communication on Fée aux Roses is not “d’actualité” for Château Phélan Ségur’). The question with such super-cuvées is always, if your very best grapes were going into this, what’s going into the Grand Vin? It’s a very New World idea, to create a ‘Reserve’ (usually called after one of the owner’s children), to show ‘the true potential of the terroir’. They are all laudable concepts and ones that can produce wonderful wines, but it’s just not the sort of thing they do in Bordeaux. Phelan is in Bordeaux but – in many ways – not of it. St Estephe, for a start, is always a far longer drive than you expect, some way beyond the manicured lawns and exotic weeping willows of Chateau Lafite, the furthest outpost of civilization for many. And St Estephe seems different, somehow. Sleepy even by Bordeaux standards, the village seems barely populated even on a weekday afternoon. The handsome 19th century Chateau Phelan Segur and its vineyards sit high in St Estephe between two illustrious neighbours, Calon Segur to the northwest and Montrose to the southeast. Its 70ha of vineland consists of gravelly alluvial deposits - sand and stones, on gentle slopes that offer some of the finest drainage in the region. And what stones they are – some of the Phelan plots would not be out of place in Chateauneuf du Pape. The quality of the soil is literally brought into relief at a point where Gardinier improved the lie of one vineyard by levelling it off, creating a terraced bank in which you can see a cross-section of the land. It is nothing but vertical sand and stone a metre deep. There’s no doubt as to the value of Phelan’s holdings: in 2010 Gardinier sold 22ha of vineyard to Martin Bouygues of Montrose for €900,000 a hectare, the biggest sale ever in St Estephe. He doesn’t consider the land he sold to Montrose the best he had – ‘half of it was very good, the rest was limestone and clay,’ he says. ‘It was a genuine business decision. We wanted to liquify some cash.’ Indeed – the €20m-odd was used to buy a majority share in the Taillevent group in Paris, of which more later. The vineyard Gardinier lavishes most attention on is the 25ha Houissant, acquired in 2002, and the origin of the long-standing coolness between him and another formidable neighbour, Jean-Guillaume Prats of Cos d’Estournel. They were both after that land, a well-placed source told me. ‘They fought to the death over it.’ As well they might. Gardinier considers it the jewel in the Phelan crown. Houissant is being husbanded with meticulous care. The rows were grassed over two years ago in order to reduce yield – at 7000 vines per hectare the vine density is lower than the 8,500–9000 vines per hectare on the rest of the property. At the moment the vineyard consists of 15 hectares of Merlot and eight hectares of Cabernet, but they are ‘going to change the whole vineyard to Cabernet,’ Gardinier says, in line with his five- to eight-year plan of making Phelan 70% Cabernet, as opposed to today’s 55% Cabernet and 45% Merlot. ‘Houissant has the potential to make 90% of Phelan Segur,’ he thinks. Phelan is a curious mixture. Its wines are regarded as classic (Hugh Johnson considers it ‘strong and reliable…one of St Estephe’s best’) but it always seems to have a whiff of the iconoclastic about it. 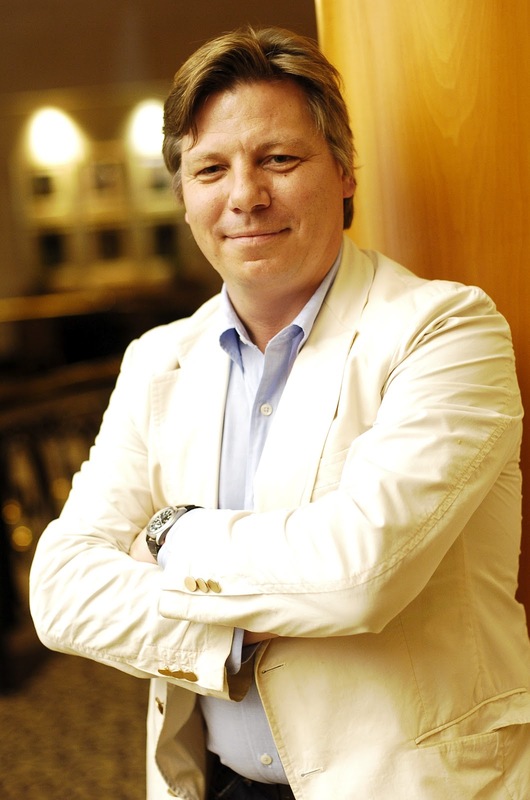 It belongs to no classification: Gardinier resigned the presidency of the Alliance des Cru Bourgeois in 2010 after withdrawing the chateau from the running. He does not bother trying to persuade the Conseil des Grands Crus Classés en 1855, the governing body of the 1855 classification, to adjust the listing, as they did when Chateau Mouton was elevated to First Growth status in 1971. ‘It would be too much effort to lobby,’ he told me, and in any case, the Place de Bordeaux - the system by which negociants trade the wines of the region – already considers Phelan a ‘cru classe assimilé’. The Gardiniers are outsiders. The family is from Picardy; they made their money – lots of it – in fertiliser. In the 1970s, when Xavier Gardinier put his money into phosphates in Florida, The New York Times said it was ‘probably the most successful French investment in American resources’. They had moved into Champagne in 1946, buying 2000 acres of hunting forest, planting vines, marrying into the Lanson family, acquiring Champagne Pommery and then selling the lot in 1983, snapping up Phelan, pretty much on its uppers at that stage, a few years later. There was never any doubt as to Xavier Gardinier’s intentions. As soon as he took over Phelan he declassified three consecutive vintages and launched a multimillion dollar lawsuit into the bargain. As Jane Anson notes, ‘one of [Xavier Gardinier’s] first decisions was to recall, or refuse to sell, three consecutive vintages from 1983 to 1985.’ He even filed a US$57m suit in San Francisco against the Chevron Chemical Company, accusing the company of supplying the chateau with an insecticide, Orthene 50, that made the 1983, 1984 and 1985 vintages ‘undrinkable and unmarketable’. According to the New York Times, ‘Phelan-Segur's suit, repurchasing the 83 wine, withholding the 84s already sold, cancelling the sale of some 85s, withholding the rest of the vintage and replacing 2,500 contaminated barrels, cost at least FF45m, or between US$7m and US$8m’. Phelan now is part of a much grander empire, run by the three Gardinier brothers, Thierry, Laurent and Stéphane - their father Xavier is a still-formidable though ailing presence. The Gardinier holdings encompass an orange plantation in Florida which Stephane runs, the luxury hotel Chateau Les Crayeres in Reims, run by Laurent, and the Paris-based Taillevent group, which Thierry is in charge of. The ethos of the business, Thierry said, is what he calls the art de vivre – ‘everything has wine and food at the centre’. Taillevent is a huge undertaking: there is the luxury hotel at the Arc de Triomphe, L’Angle du Faubourg restaurant, and the Caves Taillevent wine merchant. So Gardinier himself spends a small proportion of his time in Bordeaux. The day to day running of the chateau is in the hands of managing director Veronique Dausse and chef de cave Fabrice Bacquey, who has just taken over from the veteran cellar master Alain Coculet. Dausse is another outsider – she arrived in Bordeaux intending to buy an ice-cream business and found herself being interviewed by Gardinier and then offered the top job. She accepted the offer on the condition that she could have ‘100% autonomy’. It’s quite plain, seeing her and Gardinier together, that they are as ambitious – and unconventional – as each other, and united in a common philosophy. ‘I took the job as a challenge – that we can be the first great chateau to succeed outside the 1855 classification,’ Dausse says. The reason I mention Fee Aux Roses is because I think it says something about the kind of people the Gardiniers are. Thierry has an endearing entrepreneurial streak that is more kitchen-table than Alan Sugar. He’s proud of the spiffy narrow barrows he designed to save the pickers’ backs, and he told me about a home-potato-growing device called H2gr0w [sic] that is frankly loopy – although he’s patenting it and has persuaded his brothers it’s worth investing half a million euros in. ‘The urge to experiment is in my DNA’, he says. But beyond all that, above the statements, the flexing of the muscles, the general restlessness, is the high seriousness of the Phelan project. The watchword now is quality, at every level, and sparing no expense. I visited at the beginning of September when the first Merlot was coming in and the team was trialling the new US$100,000 Bucher Vaslin optic sorter, which processes grapes at a rate of up to 10,000kg per hour. There are a few of these huge machines around – Mouton uses one, as does Opus One. You set your ideal parameters of grape shape and colour, and optic technology does the rest, at bewildering speed. Tasting the wines, you see the progression over the last few years. In a vertical you notice that 2004 marks a watershed. The 2001 is a magnificent wine, with a lovely taffeta nose, delicate sweet berry fruit, soft persistent tannins and juice-laden acids. It is wonderful, understated, a very fine rather old-fashioned St Estephe. Then the 2002, with its dryish length, is again in that lower register. Then the anomalous 2003, a trumpet blast of sweet fruit and cooked berries. But alongside the 2004 I’ve written ‘Modern age’ in my notes. It has the trademark leather, mocha and cedar box nose and refreshing palate but there is a new quality to the tannins and the character of the wine. For the first time there is a roundness to the palate, and the tannins show density and power that you don’t find in the earlier vintages. If the 2002 is in a minor key, this is major. It is a modern wine. From now on – the 2005, the 2008, and the pre-eminent 2009 and 10 – the hallmarks are richness, density, purity and power. There is no mention of Phelan’s achilles heel: astringency and a certain dryness of tannins and length, which is notable on vintages like the 2007 and 2002. Gardinier – or more accurately, Veronique Dausse and Rolland – are working, above all in the vineyard, to achieve that great aim of richness and density. They may be looking to the future but they are also impatient with talk of iconoclasm – they don’t want to be seen as meddlesome innovators. I sent an email just before Christmas asking Dausse and Gardinier their opinion of my idea that the 2004 vintage seems to mark a step-change in the development of the style, and my phone rang almost immediately. It was Dausse, on holiday in St Lucia (I could hear sounds of fishing tackle being chucked around in the background). But, she added, it’s not a question of there being no evolution. It is more a question of building layers, adding components as the vintages progress. ‘For example, the 2001 is all about elegance and precision. We want to keep that elegance and also try to bring richness and density.’ She used the word enrobé, whose literal translation, ‘coated’, conveys nothing of the delicacy of the original French word. She hated my description of the 2001 as ‘old-fashioned’ and repeated that the qualities that make it great, the classical elegance of the tannins for example, were qualities that they were taking great pains to keep. The 2009 and 2010, those examplars of the new style, would be ‘the best of both worlds, with the elegance and refinement plus the density of tannins.’ It will be an altogether more powerful wine than 2001, she said. Every conversation in Bordeaux – every conversation anywhere, about wine – eventually comes back to those twin holy grails, power and finesse. This is what the team at Phelan Segur have set their sights on. And this is what I think the overblown Fee Aux Roses (and they’ll despair that I’ve come back to it yet again) was all about. It’s as if they have taken charge of a wonderful complex machine and opened every valve to see what it can do at full pitch. Having made their adjustments, they can throttle back and let the thing run itself, sweetly, with the lightest hand on the lever.